The 23rd Annual Mardi Gras in the Gaslamp will be held on Tuesday, February 28, 2017 from 5:00 PM to 2:00 AM. 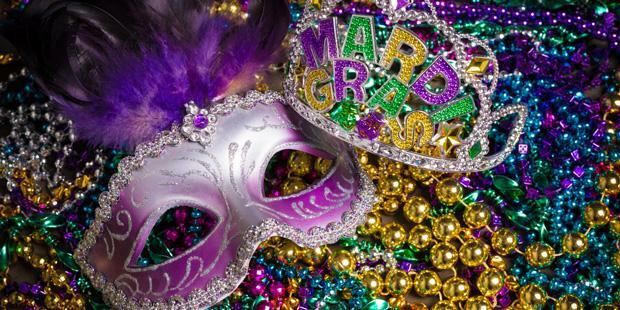 One of the most eagerly awaited events, Mardi Gras is back in Gaslamp Quarter! Mardi Gras is a French term which literally translates to “Fat Tuesday.” It applies to the Tuesday that comes before Ash Wednesday. Celebrated worldwide, Mardi Gras attracts hundreds of thousands of people be it New Orleans or Rio. And San Diego is no different. Mardi Gras in the Gaslamp Quarter in the heart of Downtown San Diego, is celebrated with much fervor, enthusiasm and with a unique flavor of Southern California. This year Mardi Gras will take place on 28th February, 2017 from 5:00 p.m. to 2:00 AM. A big easy parade will be held that will travel straight down Fifth Avenue. Plus, there will be lots of renowned DJs, LIVE bands, dancers and street performers to entertain attendees throughout. The restaurants and the bars in Gaslamp Quarter will also present LIVE entertainment. More than 50,000 people are expected to be a part of this grand celebration and indulgence. Do come to this rocking event on your San Diego vacation. You just need to be 21 years or older to enter. And do carry a valid ID. Come dressed in colorful costumes – wear beads, feathers, masks or whatever you like. Just remember to not change your appearance so drastically that you can’t be recognized through your ID proof check! To reach the Gaslamp Quarter, you can either drive or take a cab or trolley from your hotel. To enjoy not just Mardi Gras but also your vacation to the fullest, it is advisable to find a hotel in San Diego which is centrally located. California Suites Hotel is located right in the heart of San Diego so that makes it easy to easily commute to the Gaslamp Quarter and other various places and San Diego attractions. The hotel provides good facilities at budget price such as continental breakfast, free parking, Internet access, large warm swimming pool, safe deposit box and more. Being an AAA-approved and a member of the San Diego’s Chamber of Commerce, California Suites Hotel provides services and room accommodation in San Diego that are Convenient, Comfortable and Affordable. At California Suites we treat our customers like royalty. If you are coming to San Diego and need an affordable, comfortable place to stay then you don't need to look any further. Apply for your business or corporate account by calling our front desk at 858-560-0545. © 2016 www.californiasuiteshotel.com. All rights reserved.